I’m sure once upon a time, the only thing that adorned a shop ceiling was CCTV and smoke alarms. But when it’s time to refurb a shop, bar, hotel or restaurant, it’s not just about changing up the walls and furniture; it seems many designers are utilising the ceiling to create eye-catching decorative features and installations that don’t take up valuable floor space. I’m always curious to see what’s going on in the realm of commercial interior design, because here is where you often see the most innovative examples of creative reuse. 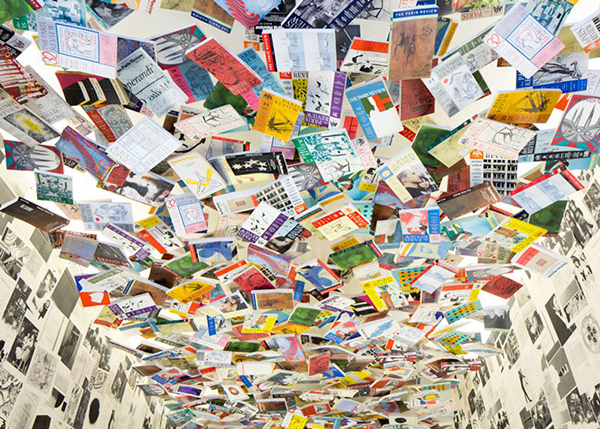 With this in mind, here are 5 of the best modern ceiling designs, proving that when it comes to repurposing everyday objects, there can be all kinds of possibilities overhead. Read on for some inspirational repurposed decor ideas. 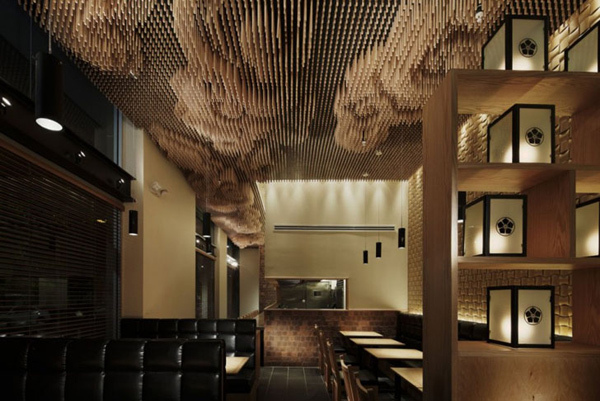 The ceiling of Tsujita Resturant located on 2057 Sawtelle Blvd, Los Angeles was designed by Japanese architect Takeshi Sano, a cumulus cloud formation made from 25,000 chopsticks. The design was inspired by views of the sky from the Izumo Shrine, the biggest shrine in the Shimane prefecture, Japan. 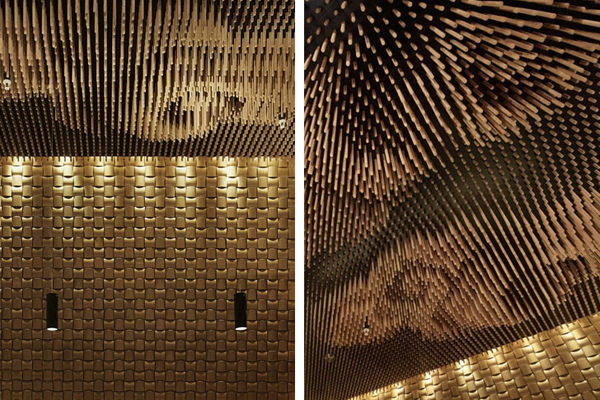 Almost like a pixelated ceiling, they were able to create the illusion of clouds by calculating the focal length between the eye line and the chopsticks and creating different distances between them. 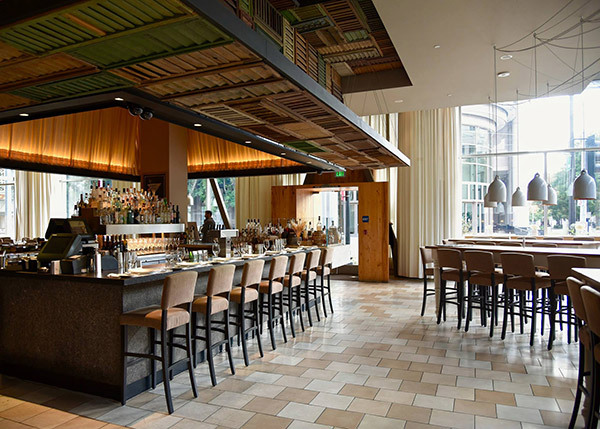 Ella Dining Room and Bar in Sacramento, California is a great example of how old and redundant materials can achieve high end interior design. 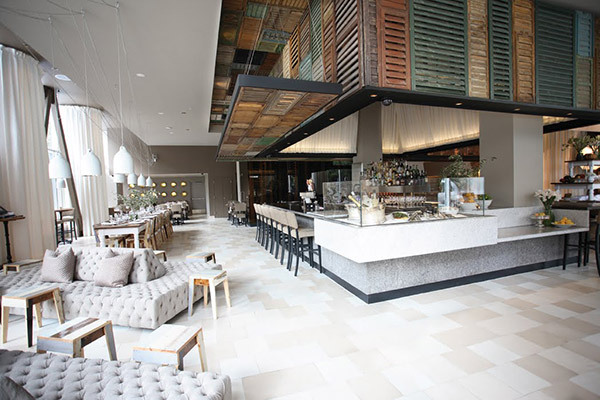 Designed by Uxus, to be a modern American bistro, the interior was based around a theme of ‘rustic luxury’. 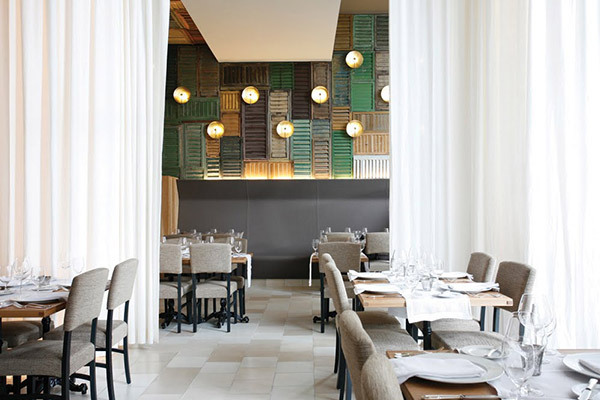 The walls and ceiling are lined with 500 salvaged antique Hungarian shutters, with the space broken up with plush ottomans and billowing white curtains. The concept for the design is a celebration of the simple things which is also reflected in the restaurant’s menu; promoting local growers, seasonal ingredients and pure, simple dishes. 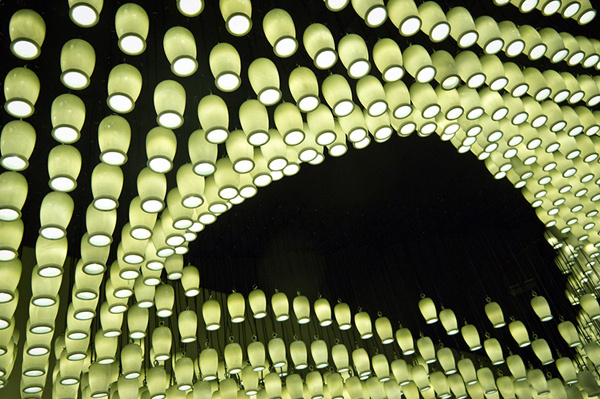 Milkywave was an installation by Aidia Studio for Beijing Design Week in 2012. 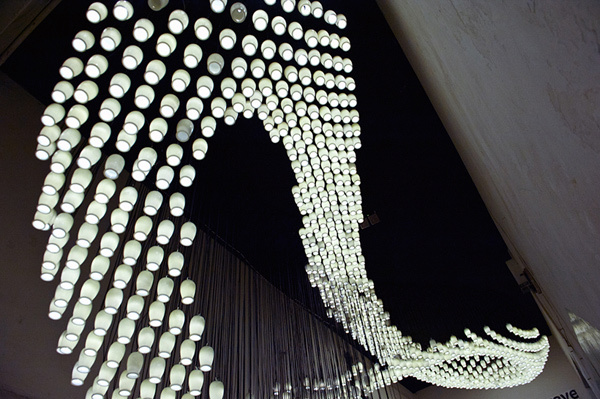 It was made of 1664 recycled glazed ceramic yoghurt bottles which formed a looping wave of light, radically transforming a humble space. The concept explored how the combination of familiar everyday material objects and cultural habits create the atmosphere and character of the city. 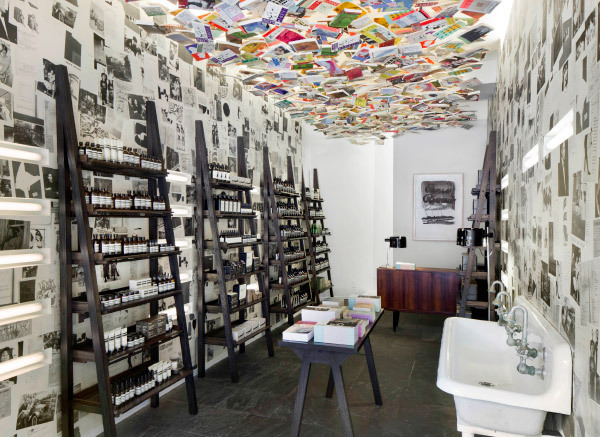 Step inside Aesop in Chelsea, New York and you’ll find hundreds of copies of The Paris Review suspended from the ceiling. The walls are also wallpapered with black and white extracts from the literary journal. 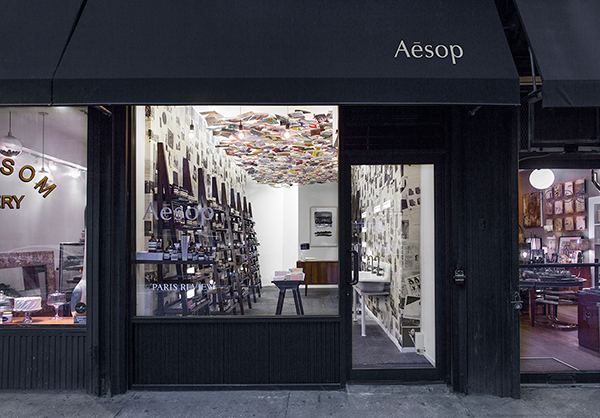 Aesop fans will probably be familiar with the brand’s attention to detail when it comes to their shop interiors, the first of which was created in Melbourne’s trendy St Kilda. 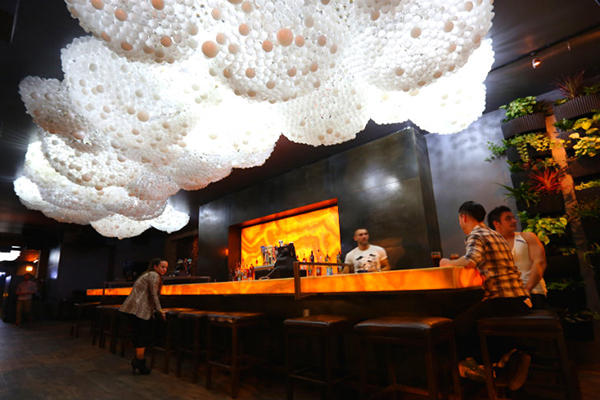 The Cloud Ceiling has been causing a stir at Progress Bar in Boystown, Chicago, an interactive installation of 15,000 re-appropriated incandescent lightbulbs. 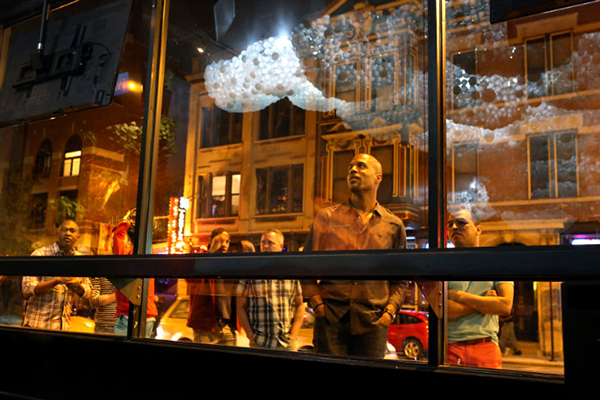 The artwork by Caitlind Brown and Garrett Wayne is the second of their lightbulb clouds. 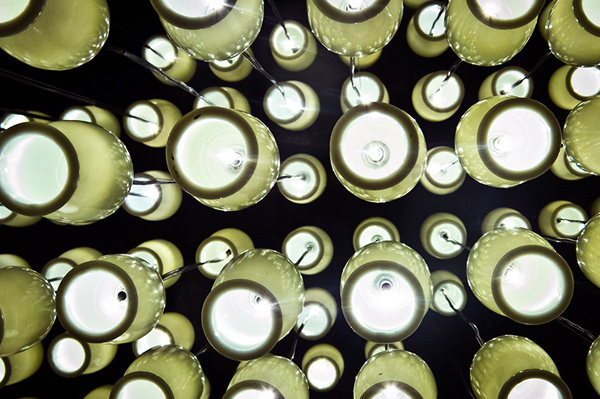 The bulbs form part of the installation but don’t actually light up. 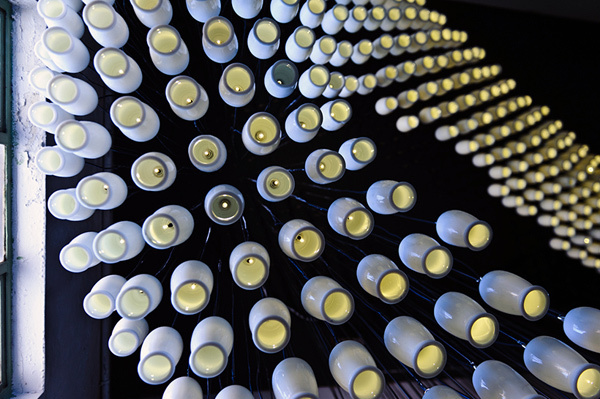 Instead, the installation uses motion sensors and LED lights, matching the movement and energy of the crowd. 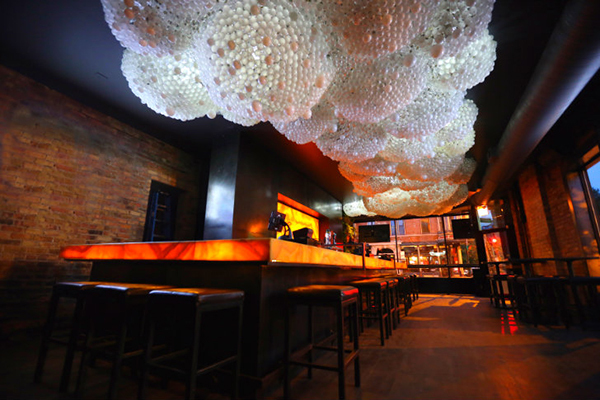 A second miniature cloud is built to the back of the bar to create a cohesive feel. 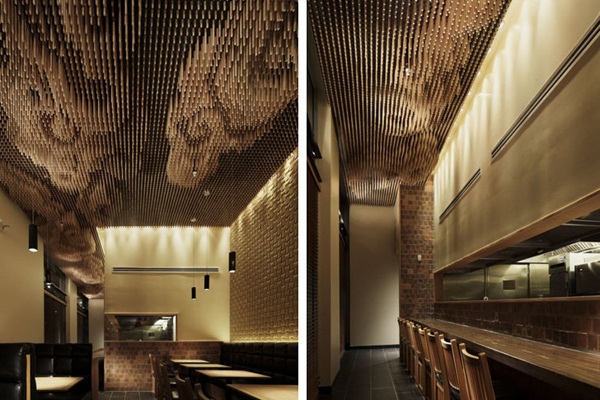 Inspired to create something as wild as this on your ceiling? I’d love to hear your ideas! The majority of these pictures are stunning as they are so well designed. 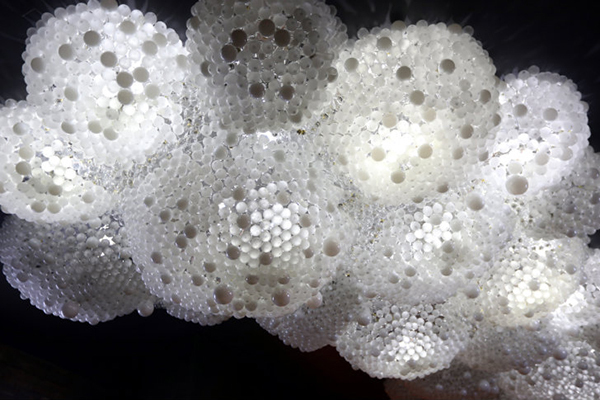 Similarly, the Royal Albert Hall makes a proud statement with the so-called “mushrooms” on the ceiling, which serve a practical use but are embraced as part of the building’s main room’s hybrid design. It is certainly a risk regarding the average homeowner; firstly regarding the materials they could have available to cover a ceiling with (most likely magazines or cuttings), and secondly, ceiling height! A combination of poor material and low ceilings is a recipe for disaster. Very easy to go wrong, but an inspiration nonetheless! 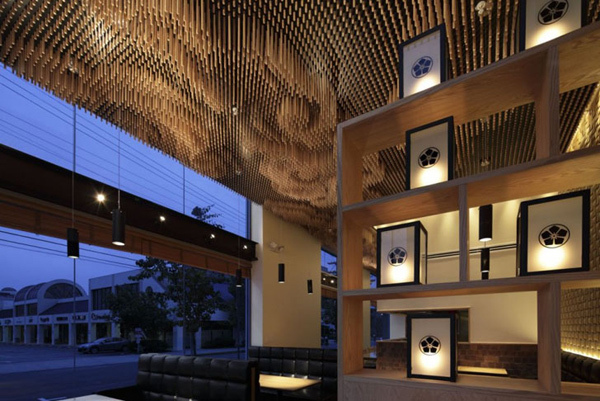 The recycled chopsticks ceiling is awesome! 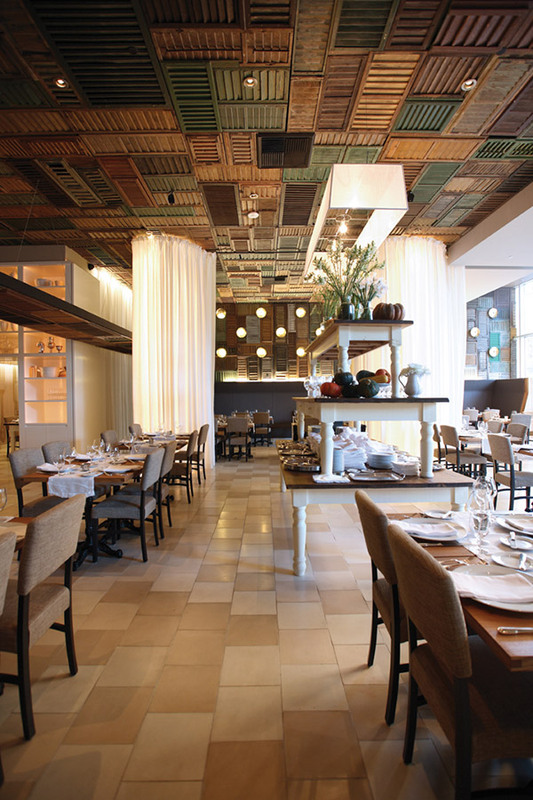 Thanks for sharing these great ideas for repurposed ceiling designs.